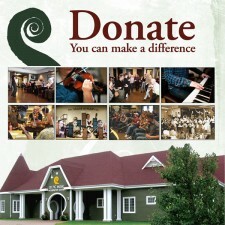 The Celtic Music Interpretive Centre is a not-for-profit registered charitable society with a mandate to collect, preserve and promote the traditional Celtic music of Cape Breton Island through Education, Research and Performance. As a non-profit, we rely on a variety of income sources to carry out our mandate year-round. Future projects may be facilitated through your generosity and ensure that Cape Breton’s culture is preserved in its most traditional form, through presentation of authentic live performances and programs that reflect Gaelic language, music and dance. Donations may be anonymous, in memoriam and/or aimed at a specific area or project. A tax receipt will be issued for all Canadian donations (US residents may get a tax receipt if donating $1000 or more to our Endowment Fund). Please click on the 'Donate' image below to choose an amount and area of support. Thank you! Donations of $100 or less may be made through CanadaHelps. OR call us at 902-787-2708 or email and we will put you in touch with the Community Foundation of Nova Scotia. 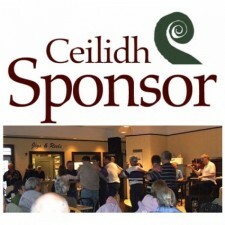 Your donation helps us continue and create programs which are vital to the preservation, promotion and education of Cape Breton traditional music ..
Every Ceilidh sponsored means the full entertainment cost for that Ceilidh is covered, which goes a long way to helping make our live performance ..